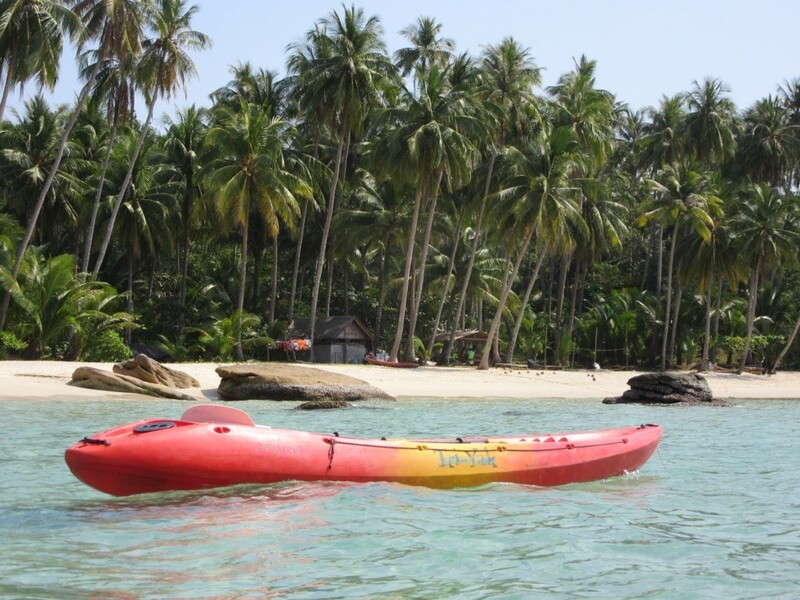 Thailand III - arneundmartinas Webseite! Entering Thailand felt like entering a different world. Everything was so green compared to Cambodia. Here there are many trees and that really makes a difference. We were a bit lazy that day and checked in this wonderful guesthouse already after 48 km and it was worth it. Best place ever! Even with a proper bathroom! 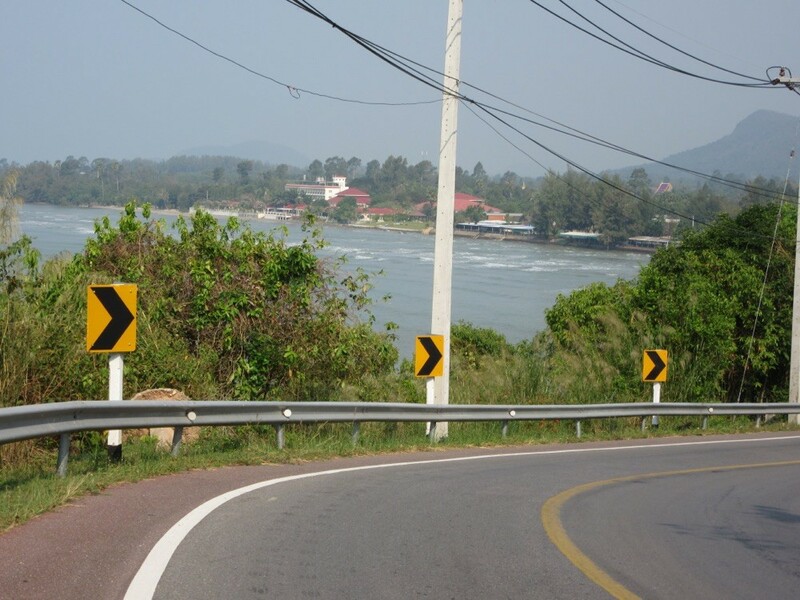 Then the trip to Chanthaburi was very easy as it was mainly downhill and we had tailwind. 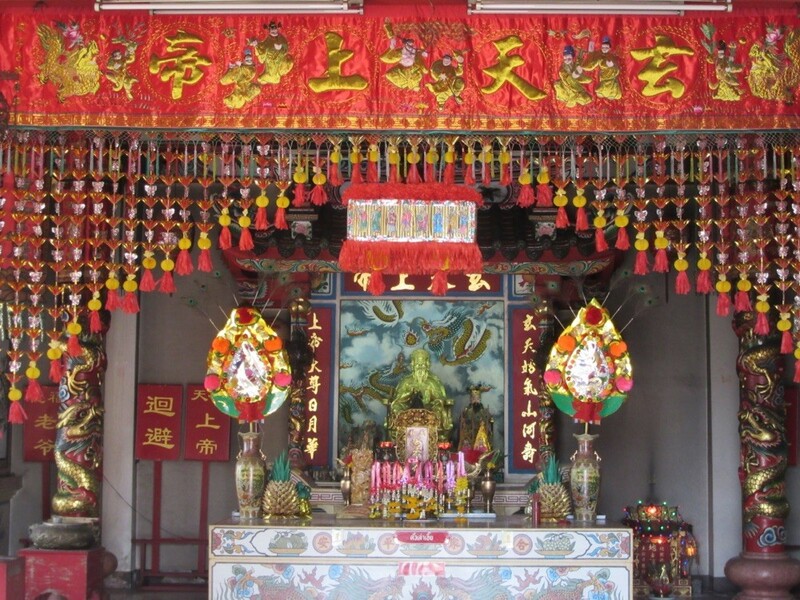 It is a nice town with a historical china town which we explored after checking in a cheap hotel. 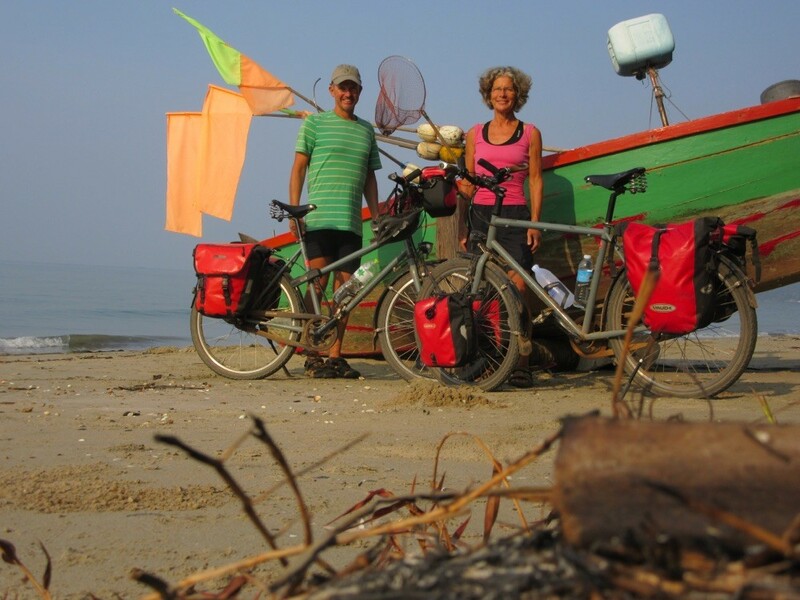 We didn't find Chanthaburi very interesting and so the next day we cycled to the beach, to Leam Sing, a little village that probably nobody knows as we were nearly the only foreigners. We found a beautiful remote beach which usually is empty but that day the Boy and Girl Scouts were there. It was a lot of fun to watch them. On the way to Trat which is in the southeast of middle Thailand we passed many fish factories but also this lovely fishing boat. 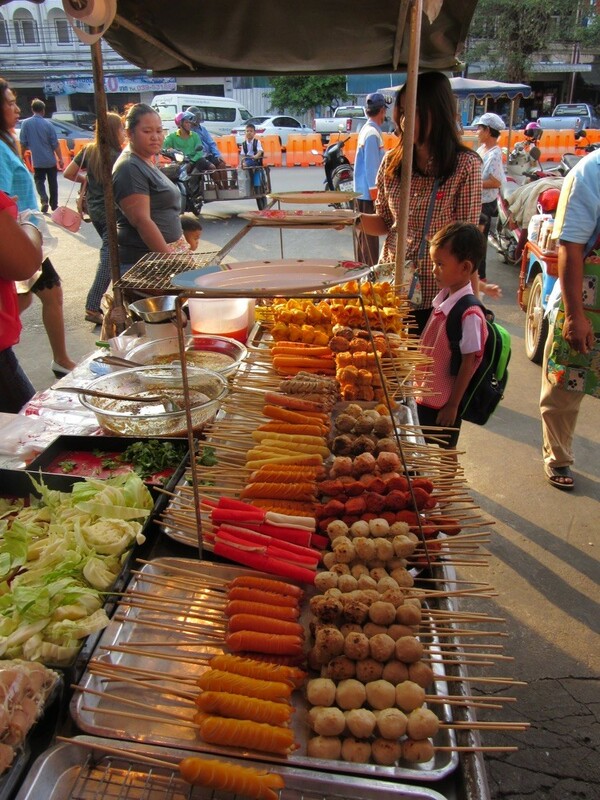 In Trat we found a basic hotel, tried to get some money from the bank ( which again was more difficult than expected) and went to the local night market for dinner, delicious. Tomorrow we will cycle to the jetty to catch a boat to one of the lovely islands along the coast. The boat trip to Koh Kood was nice but then we had to cross the island which is very hilly and it was midday and very hot. We were really glad when we finally reached our hotel which was so new that it was on no map. Jungle Koh Kood Resort. It was, as the name tells, a bit out of the way so we were happy to have our bikes. The first day we went on a snorkeling trip which was nice but the corals are not really exciting. At least we saw some nice fish and the people on the boat were fun. There are some nice waterfalls here and one was quite close to our hotel, an excellent place to swim and hang out. Also the beaches looked like you expect beaches in Thailand to look like. Clear water, white sand and palm trees. And in the evenings we went into the village, which was not a real village but some hotels and restaurants. Thank god we had our bicycles. 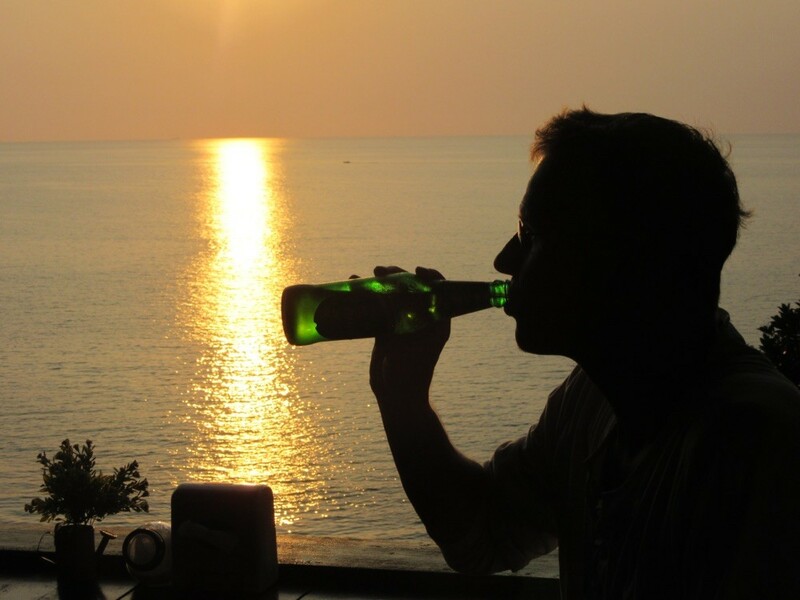 There we had dinner and Arne had his Chang beer. But that was our last day on the island, so now it is time to go to Bangkok and fly home again. In Trat we stayed in a luxurious hotel because Arne wasn't feeling well and I wanted a pool. 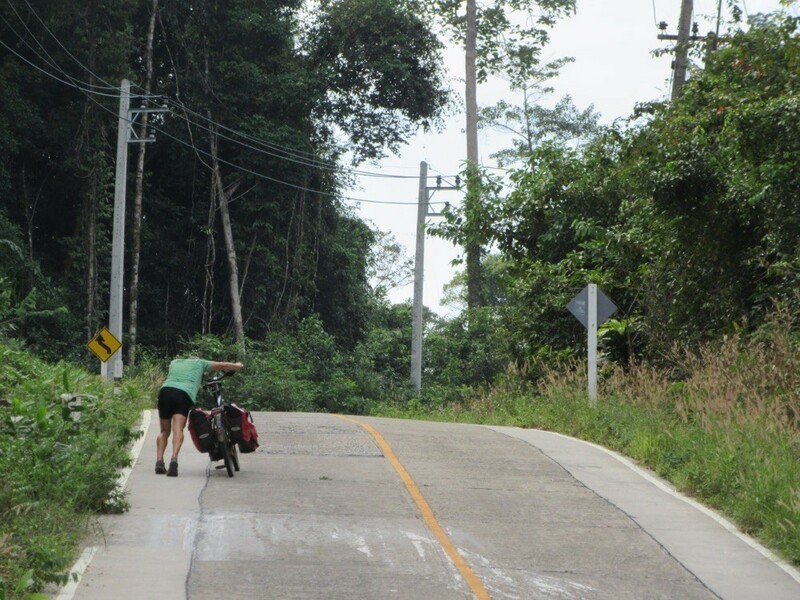 The next day he felt better and we cycled to Laem Sing again where we had been before Koh Kood. But this time the beach was very dirty due to the storm in between. The road along the coast was beautiful and it was good for cyclists as it had extra bike lanes. Also our next destination was a nice seaside resort so that we stayed an extra day. To enjoy the beach. 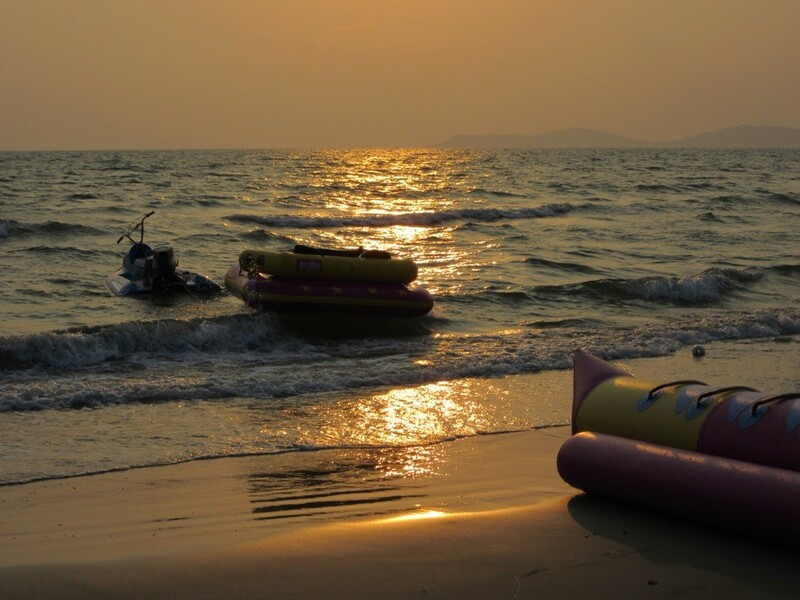 There were some tourists, Thai and Western, so tent had these fun activities on the water ( banana being towed behind a motorboat with high speed). Fun to watch too. And very good seafood in the evening. On our last day of cycling we had to go on the motorway which was not really nice. At least it was not sunny and therefore only 27degrees. We met this friendly cyclist who was just finishing his 2.5 hours morning exercise. 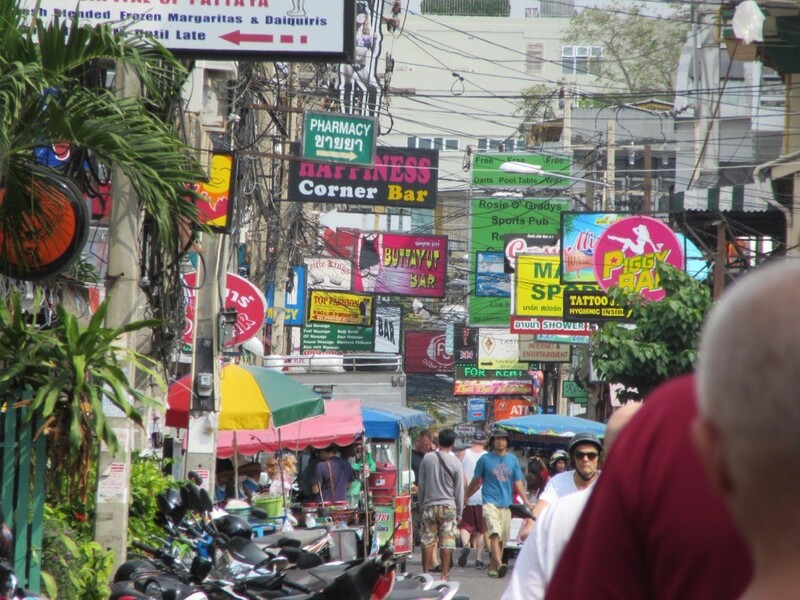 We only stayed one night in pattaya and didn't see much but enough to know that it was not the right place for us. Too many people, too many cars, too many construction areas, too many bars. 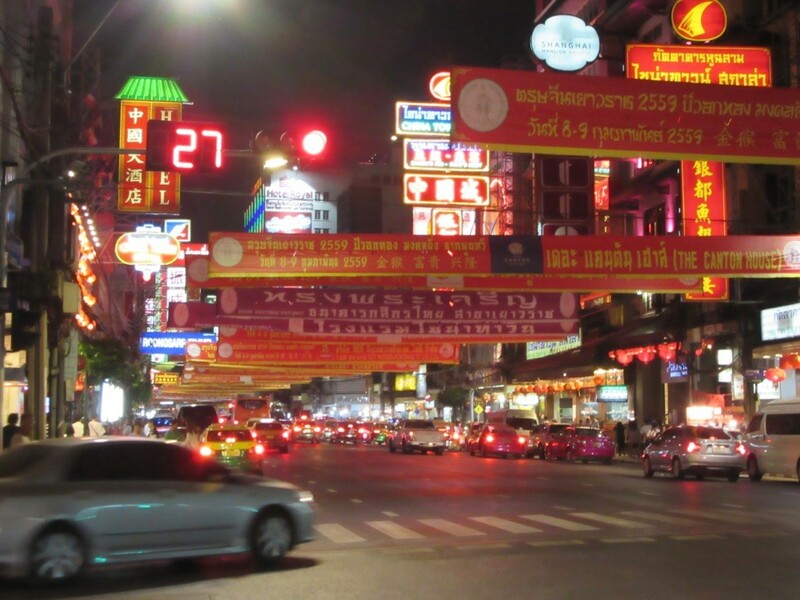 We took the train to Bangkok and found a hotel close to china town where we had an interesting evening. 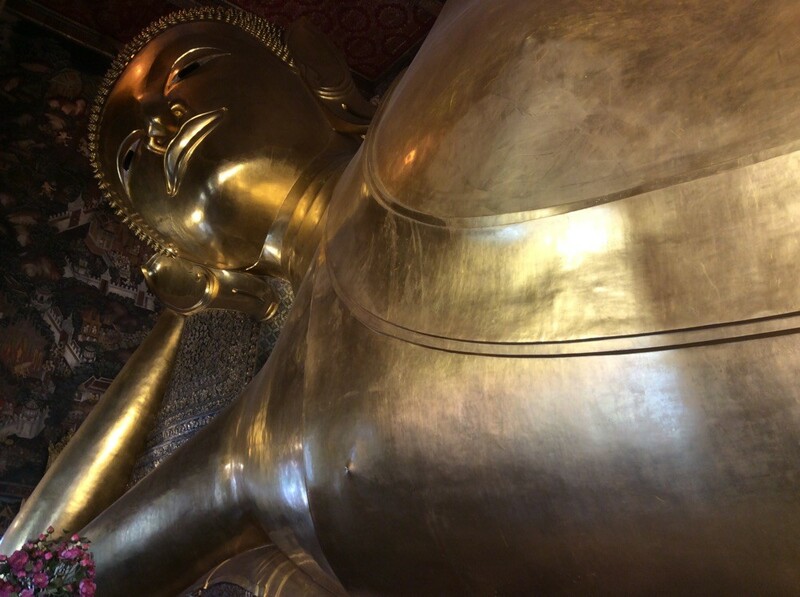 The next day we found out that we would only have one day for sightseeing so we visited the grand palace, one of the most amazing places on our trip, and Wat Pho with its huge reclining Buddha and beautiful temples. 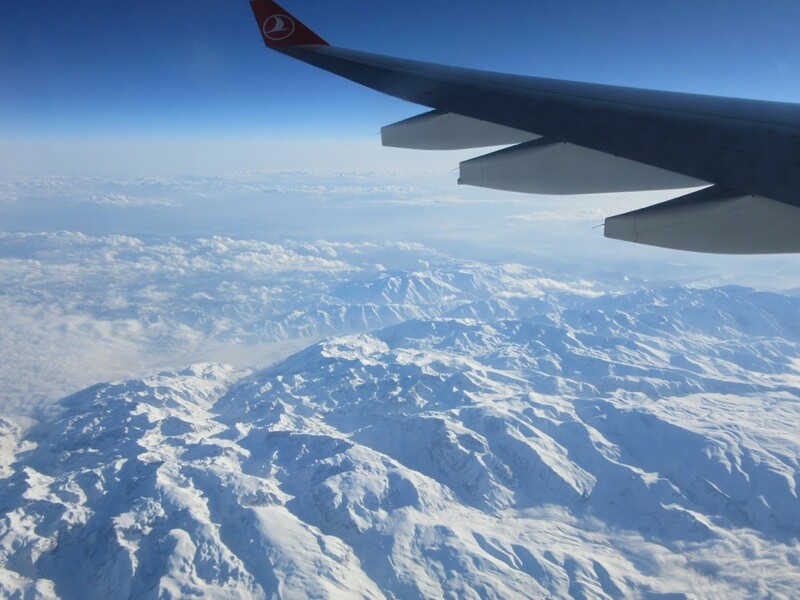 We will fly home on Wednesday , 24th February, a bit earlier than expected, but now it is kind of enough and we have experienced so much that it will need some time to settle down. 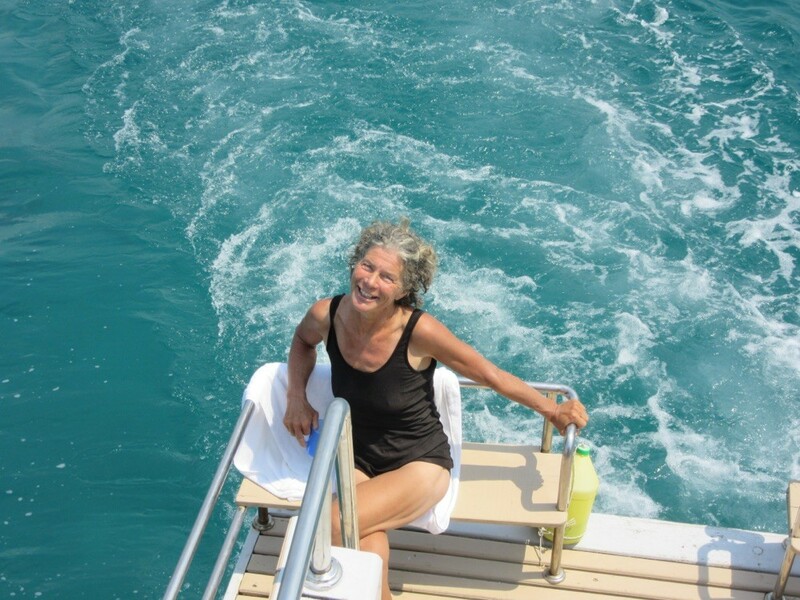 Thanks for following this blog, I hope you enjoyed it! Before entering the plane everything went wrong. We could not take the airport link train although they told us we could the day before. So we had to squeeze into a taxi. At the airport they would not wrap our bikes with plastic so we had to improvise but finally we managed and had a pleasant flight to Istanbul and then Hamburg. 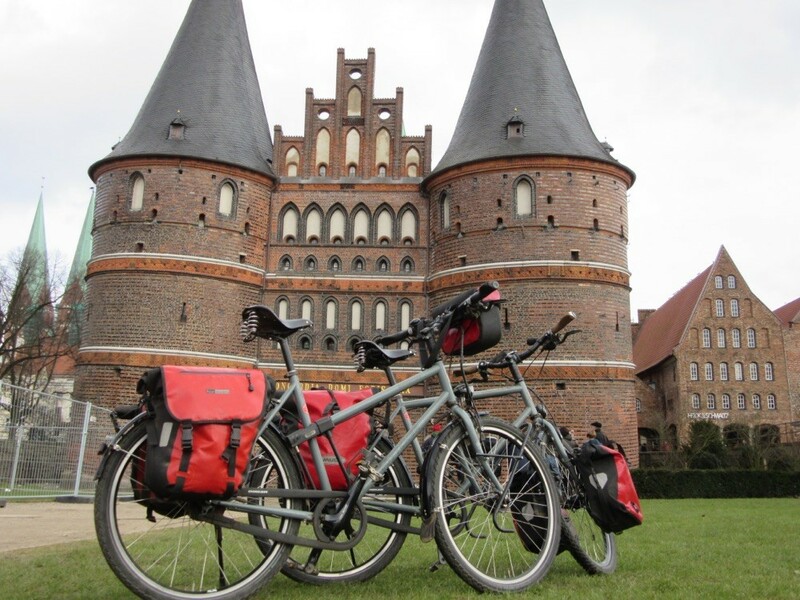 On Saturday , 27th February, we reached our hometown Lübeck and were welcomed by our Afghan family. Our house looked perfectly clean and we were happy to be home again.